Clean potatoes; cut lengthwise into fry-like shapes. 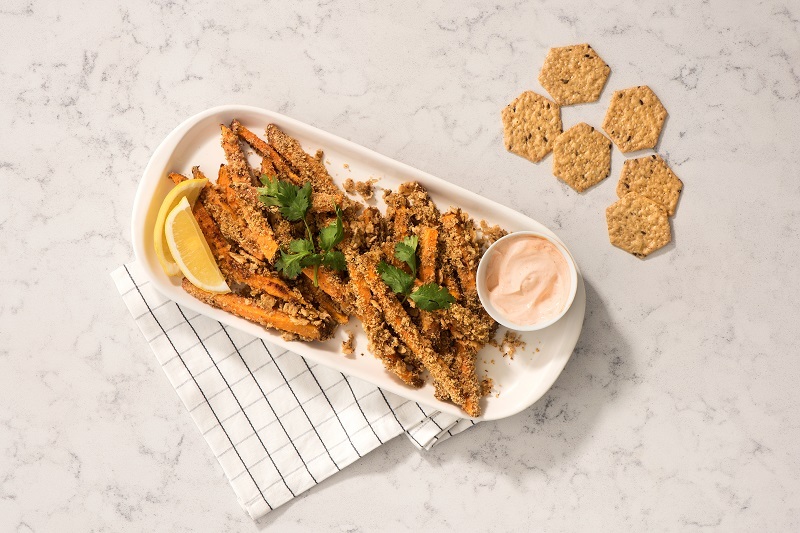 In a large bowl, toss sweet potato fries with olive oil, vinegar, flax seeds and Crunchmaster® Roasted Garlic Multi-Seed Cracker crumbs. Arrange potato fries in a single layer on baking sheet. Bake for 25 – 30 minutes or until golden brown and crispy. Remove from oven; serve warm with honey mustard, hummus or salsa.